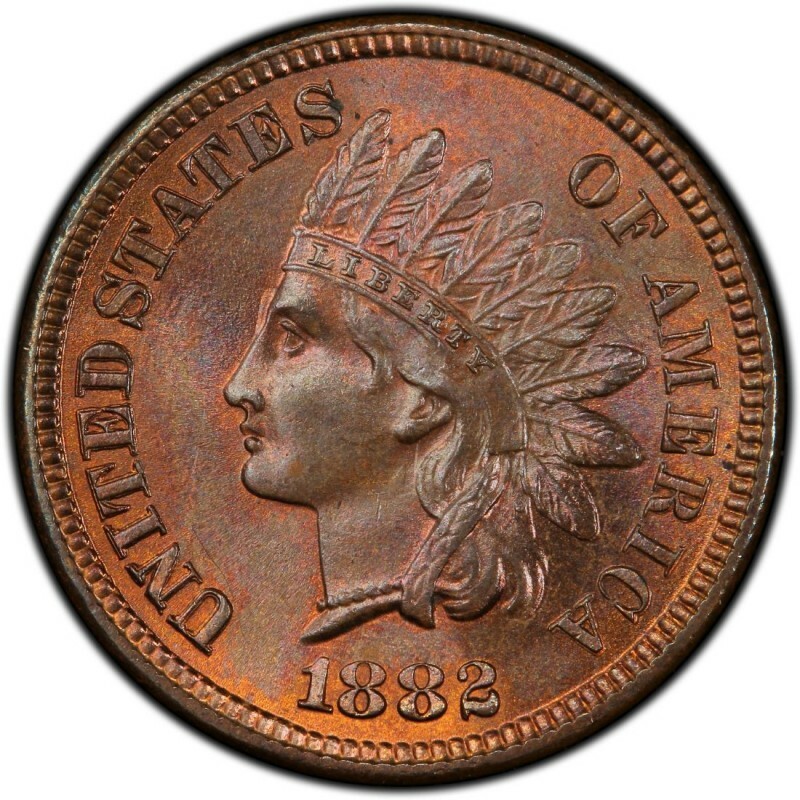 1882 Indian Head cents are commonly encountered at most U.S. coin shops, and they often turn up in rolls of mixed-date Indian Head pennies. While 1882 cents are only rarely, if ever, found in circulation or standard bank rolls, they’re plentiful in the numismatic community, and there are plenty to go around in terms of meeting current demand. 38,581,100 Indian Head pennies were made in 1882, and these are generally worth about $3 for an original, uncleaned specimen in a grade of Good-4. 3,100 proof Indian Head pennies were made in 1882, and these retail for about $1,450 for a choice specimen. As 1882 pennies are quite common, it makes sense to buy the best specimen you can afford, and you should therefore avoid buying cleaned, damaged pieces as these, though quite cheap, aren’t particularly desirable to most coin collectors. Indian Head pennies were designed by Chief Engraver of the United States Mint James B. Longacre and were first produced in 1859. 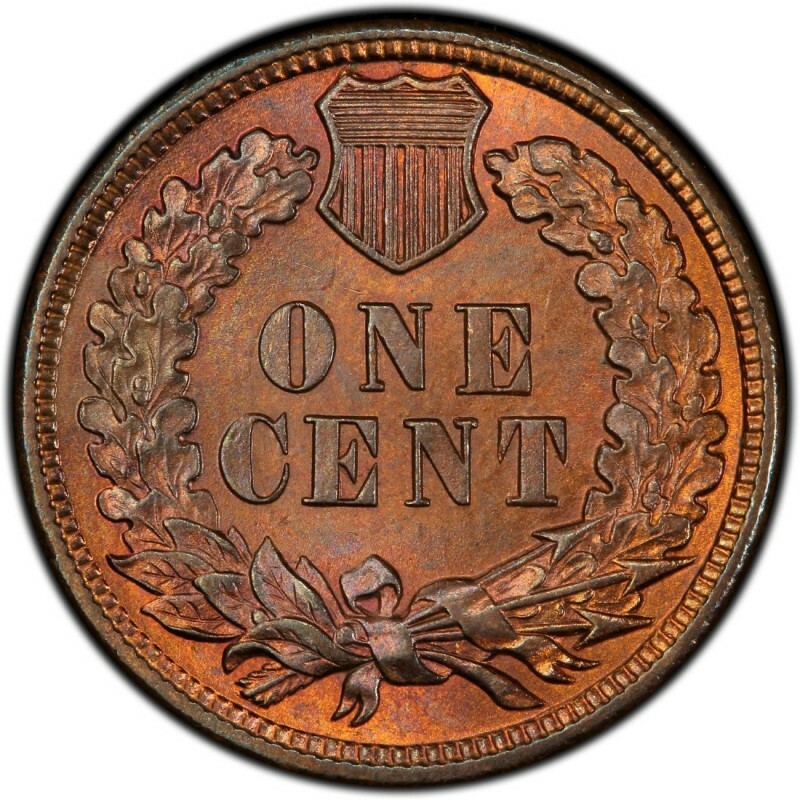 Along with 1882 Indian Head pennies, Longacre also designed the two-cent coin – the first U.S. coin to bear the words IN GOD WE TRUST. As for Indian Head pennies, many people think they depict an actual Native American. The figure on the coin is a representation of Miss Liberty, who was, in this case, modeled after Longacre’s 12-year-old daughter, Sarah.